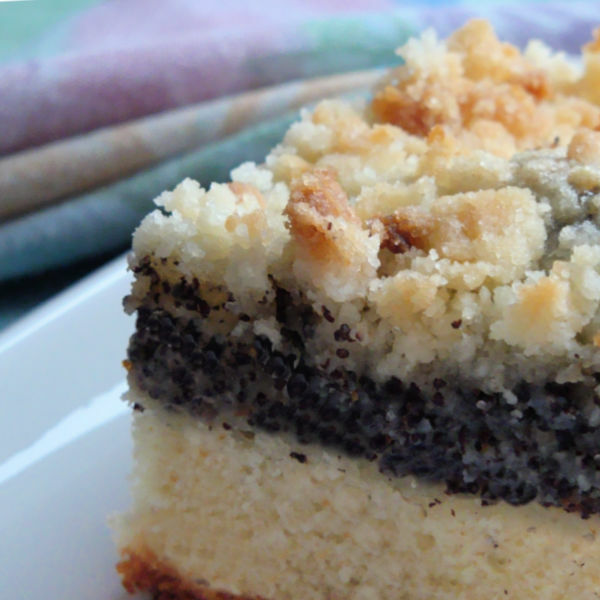 My Mutti's German Poppy Seed Cake recipe, aka Mohnkuchen, is so WUNDERBAR! It's among my favorite holiday baking recipes, especially since I just love poppy seed in any type of cake! Delicious and, oh, so traditionally German. For example, if you're fortunate to be celebrating Christmas in Germany, you'll find this Poppy Seed Cake on the dessert table, sitting right along side the Stollen and Lebkuchen. Stir a pinch of sugar into warm milk. Sprinkle yeast on top. Let sit 5 minutes or until surface is frothy. Into mixing bowl, add flour, sugar and salt and stir. Stir yeast. Lightly beat cooled butter and egg into yeast mixture. Pour yeast mixture into flour, beating to make a dough. On a floured surface, knead dough lightly. Cover and let rise in a warm place for 1 hour. While waiting for dough to rise, make the filling and topping. Follow package instructions and make cereal with wheatlets and water. Let cool slightly. Add poppy seed, flavoring, butter, and sugar. Mix well. Add eggs. Mix well. Mix ingredients to a crumbly texture. Grease 9" x 13" cake pan or use a large springform pan. Knead risen dough lightly and roll out to fit cake pan. Pierce dough all over with fork. Pour poppyseed filling over cake. Gently crumble topping evenly over filling. Let rise in a warm place 15 minutes. Bake 25 - 30 minutes - or until top is a rich golden brown. Even though it uses yeast, it's simple to make. You may not think that yeast recipes can be quick. This one is though. It only uses one main 'rising' and during that time you make the filling. A warning I give when making any of the crumb cake recipes (cakes with a crumb or "streusel" topping): the crumbs taste great even before baking. Keep the kids (and hubby) away from the streusel -- they'll eat it up before you can use it! If you are blessed to live close to a German Deli, you can buy prepared poppy seed filling and use that instead. However, making your own filling for this poppy seed cake recipe is cheaper, and tastes better, I think. I know this looks like a long and complicated recipe. Just take it step-by-step and you'll soon be enjoying this poppyseed cake. 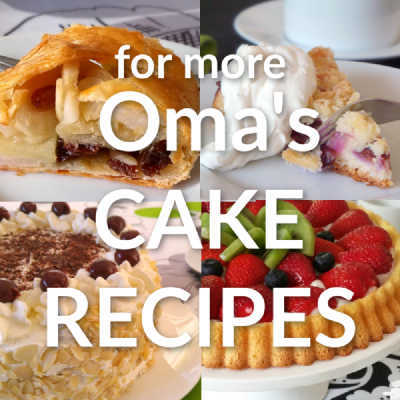 It's so similar to other crumb cake recipes, it'll be a breeze to make them as well. "A friend is always loyal, and a brother is born to help in time of need."